Even the most skilled bicyclist puts themselves at risk for accident every time they get on a bike. Bicyclists enjoy the freedom, exercise and convenience, but unfortunately this group is also susceptible to plenty of serious and life-changing accidents. When a bicyclist is struck by a vehicle, or otherwise finds themselves in a crash, the result is often serious injury. If the accident wasn’t the bicyclist’s fault, they may be able to make a claim for damages against the at-fault person’s insurance company. In some cases, hiring an attorney is a smart option. 1. Have the resources to properly invest in your case: Not all attorneys are created equal. 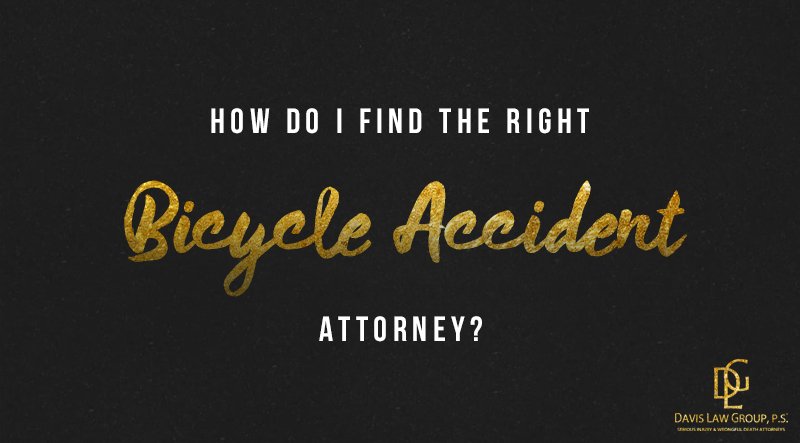 A bicycle accident lawyer without the financial position to hire experts, hold depositions and properly invest in your case probably isn’t the right one for your serious accident. 2. Have knowledge on the causes of bicycle accidents: These types of accidents can occur because of a multitude of reasons, and the right attorney should have experience identifying the causes. Texting and driving, improper turns, failure to yield, etc. are just a few of the reasons bicyclists are injured in accidents. 3. Have experience going to trial and winning: An attorney that settles all their cases and never goes to trial likely won’t get you the best possible result. Having trial experience is essential for compelling insurance companies to make fair settlement offers. If those offers aren’t good enough, your attorney should be able to prepare a case for trial – then win. 4. Have your best interest in mind: The attorney you choose to represent you should be a good listener and understand what is important to you. Honesty and integrity should be high on the top of your checklist when looking for a bicycle accident lawyer. 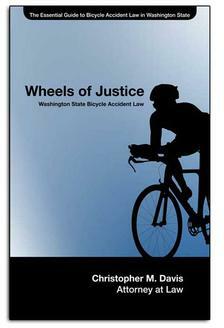 For almost 25 years, Attorney Chris Davis has obtained significant verdicts and settlements for bicycle accident victims and their families in Washington State. Davis Law Group, P.S., is respected in the courts and known for providing needed guidance and straight counsel. For a free case evaluation, call (206) 727-4000, use the chat feature below or fill out the form on this page.